“I love that we can just get to code on our own and … do whatever we want with it”, said Ava. Anu loves being creative with the ability to personalize her creations. Mason is enjoying learning about aerospace and doesn’t miss a beat in saying he wants to be back for more. 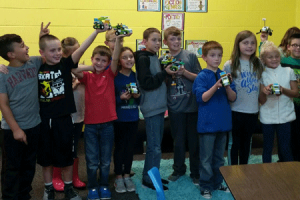 These and many more elementary students in the IL-WI Stateline area are experiencing computer programming, robotics and aerospace engineering thanks to the STEM For Kids programs being offered by franchise owners Donna and Gary Curtis. “STEM for Kids has made a giant splash on the Illinois – Wisconsin Stateline area! We have been welcome with open arms to Illinois and are growing rapidly”, says Donna. Educators and parents see the incredible value being offered as requests for programming comes in daily. Donna and Gary launched their operations in Southern Wisconsin in spring 2016 and subsequently grew into areas in Illinois. In under 2 years, they have grown their program offerings from 0 to 17 sites in the Stateline region. Their team of STEM Coaches, Mindy, Bree, Gary, Tylor, Andrew, Laura, Alesha, Jannel and Katie represent a diversified talent pool comprising of teachers to education, computer science and engineering degree students. “We continue to hire a diversified staff to provide outstanding role models and inspire the children to love STEM as much as we do”, she adds. Through her research and experience in education, Donna, who is a former educator, had determined that STEM For Kids provides the right balance of STEM learning and hands-on engagement for children. 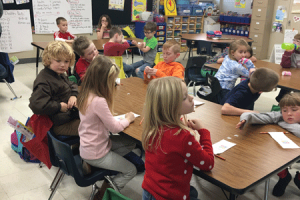 This determination led to their decision to become a STEM For Kids franchisee. Since then, STEM For Kids franchise has been recognized as a top children’s educational franchise by the Entrepreneur and the Startups Magazine. STEM For Kids’ innovative lineup of STEM / STEAM curriculum remains unparalleled in the industry. Lear more about the programs being offered at the Stateline or request programs at your site by visiting stemforkids.net/t/wimadison or email stateline@stemforkids.net. STEM For Kids® provides the broadest array of engineering, biomedicine, computer programming and advanced manufacturing programs for children in grades preK-8 through summer camps, afterschool programs and classes in and outside schools. Founded by a recognized business leader in STEM, Moni Singh, the Raleigh North Carolina based company has now expanded from its roots in the Triangle to multiple territories across the USA and outside.